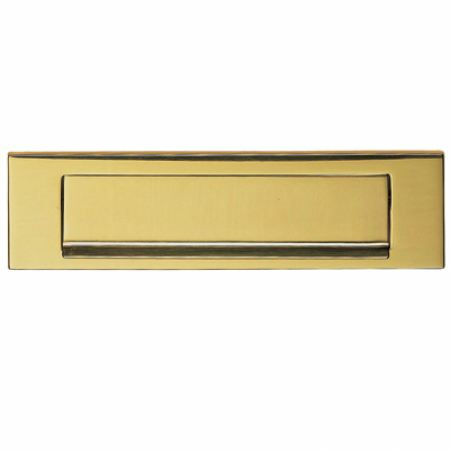 A Victorian gravity letter plate that comes in a high quality polished brass finish. This letter plate has been designed so that the flap pulls towards the user instead of being pushed. This letter plate is sprung for added security and to also reduce the chance of a draft from getting through it. 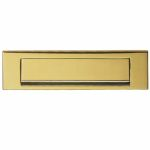 The letter plate features concealed bolt through fixings and the fixing screw centres are 253mm apart. Reasonable quality A circlip holding on the letter flap fell off presumably during transit but I managed to replace it with a bit of manipulation.